What if gulf oysters produce not only pearls? What if they produce other kinds of precious jewels like diamonds, rubies, sapphires, and etc! 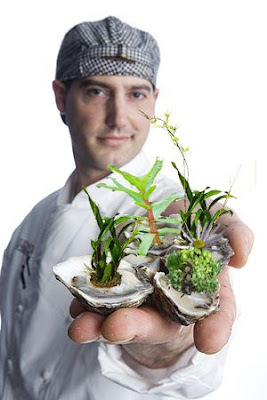 What if oysters are the solution to our current problems like pollution, fast depleting energy resources, and a cure for HIV/AIDS?! What if oysters provide new life for all living creatures? Well, I might be exaggerating a bit already but it is true that gulf oysters can sustain life, especially our lives, by giving us nourishment that is! You just have to love oysters!There are several ways to cook oysters and so many ways to enjoy them! But did you know that eating oysters can also be risky? Eating raw or under-cooked oysters can cause serious illness or even death from Vibrio vulnificus bacteria. Scary huh? But does this mean that we have to stop eating freshgulf oysters? You've got to be kidding right? That is definitely not an option! So if you love eating oysters and can't get enough, please visit the Be Oyster Aware website so that you can learn more about your beloved oysters and how to eat oysters safely! Happy eating guys!